HONG KONG—Craigengower Cricket Club (CCC) successfully withstood the pressure from Hong Kong Football Club (HKFC) and Kowloon Cricket Club (KCC) to win a record breaking 27th top flight title last Saturday, Oct 21. CCC overtook HKFC’s leadership position for the first time this season after the penultimate game. They were leading by the narrow margin of one point going into the final match when they played the Youth Team at home and won 8-0 to secure the title. Soon after the start of the game, it became obvious that two of the teams skipped by Lee Ka Ho and Stanley Lai would have no problem dispatching their opponents. So the result depended on Kevin Fung’s team, who were trailing 0:10 after seven ends. As the match came to the last end, Fung was still trailing by 11:17 however news was received that HKFC could only take two points at Kowloon Bowling Green Club and it hugely boosted the morale of the CCC team. Fung scored six in the last end to tie the game. The 7-1 victory, compounded by the loss incurred by HKFC, allowed CCC to top the table with 102 points, six points ahead of HKFC. Third placed KCC also lost to the already-relegated KBGC-B and finished the season in the same position. At the bottom, Club de Recreio completed their act of great escape by beating mid-tabled Tuen Mun Sports Club 8-0 at home and condemned the Police to Division 2, something they have not experienced since 1991. The other team already relegated before the last game was KBGC-B. In Division 2, champion Filipino Club will end their brief stay of two years at the second tier and return to the top flight. They will be joined by Hong Kong Cricket Club who completed an instant rebound after relegation last season. 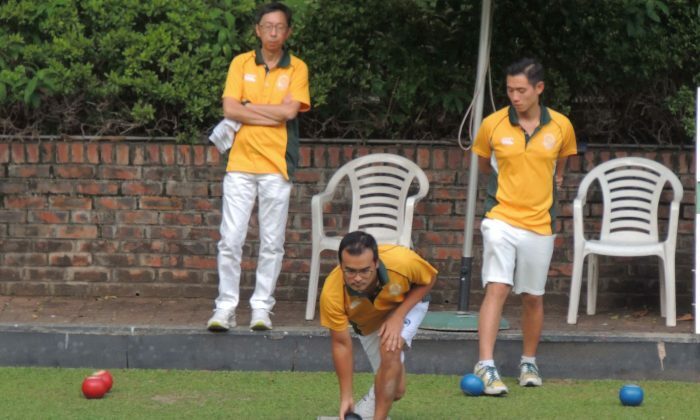 This year the champions of all nine divisions are from different clubs, of which newly joined Yuen Long Lawn Bowls Club finished champion of Division 9 in their first season. This is a season KBGC and the Police Team may want to forget as they both have three teams relegated. Victoria Lawn Bowls Club follow closely as two of their teams are relegated. The women’s final matches will be played on Nov 4, 2017. The National Singles semi-finals will take place on Sunday Oct 29.